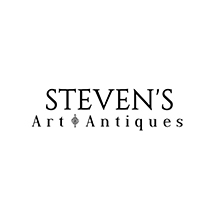 Steven’s Art & Antiques aims to provide a bona fide platform for art lovers. Founded by a group of senior art and antique collectors, our business is run by well-educated, passionate art lovers. We believe in the investment value and the infinite aesthetic value of art and antiques. With a special focus on Asian and European art, we welcome consignors with various collectibles, including but no limited to paintings, decorative articles, furniture, manuscripts, jewelry. Our headquarter is located in Pasadena, CA. In the near future, we are going to expand our business to New York City, Hong Kong, and Edinburgh.